What Are the Differences Between an Orthodontist and a Dentist? When choosing the doctor who will transform you or your child’s smile, it is important to know the differences between a dentist who provides orthodontic care, and a board-certified orthodontist. Even if it seems like an easy fix to straighten teeth, careful consideration, planning, and technical skill are needed to properly alter the relationship between the teeth and jaws. Orthodontic treatment procedures can range from braces or aligner trays to removable and fixed appliances. To become a dentist, a bachelor’s degree must first be obtained, followed by a four-year doctoral program at a dental school. After graduating, a general dentist may begin practicing, privately or in a group setting. An orthodontist has furthered their education by completing two or three additional years of a full-time university affiliated orthodontic residency program, approved by the American Dental Association. After graduation, orthodontists can become certified by the American Board of Orthodontics, which is the only orthodontic specialty board recognized by the American Dental Association. While dentists and orthodontists have both completed a high level of education, a dentist has completed 8 years compared to an orthodontist’s 10-11 years of schooling to specialize in this field. 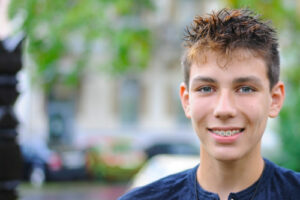 Furthermore, an orthodontist is required annually to take many hours of continuing education within the field of orthodontics, which keeps his or her knowledge up-to-date with modern approaches and philosophies. The right doctor for you will depend on your needs and goals. For orthodontic treatment, the best choice is a board-certified orthodontist. For more information, please contact our team to schedule a consultation.